The week after Thanksgiving, Robert Bidinotto became the overnight success story every indie author dreams of becoming after Amazon prominently featured his debut novel Hunter in a week-long promotion and he sold upwards of 25,000 books. Except his success wasn’t overnight — it was the payoff of years of honing his craft and months of marketing and promoting his book. Robert took time out what has been a crazy few weeks for him to discuss his meteoric rise up the best-selling ranks. Robert, thanks for joining us. For readers who haven’t yet picked up Hunter (myself included, unfortunately) tell us a little bit about your book. Sure, Jennie—and thanks for the opportunity to share a bit about my debut novel. 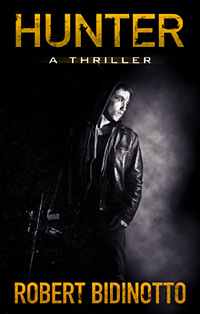 HUNTER has been described by one reviewer as a modern “parable of justice.” It’s a genre-bender: part spy mystery, part vigilante action thriller, part hot romance. The tale is set in and around Washington, D.C. during a wave of shocking vigilante killings. The two central characters are strong, idealistic loners. Dylan Hunter is a crusading investigative journalist with a mysterious past, and his newspaper columns expose outrageous leniency in the criminal justice system. Annie Woods is a tough-but- beautiful security officer at the CIA, whose mission is to track down the unknown assassin of an Agency traitor. The two meet in the aftermath of a savage criminal assault against mutual friends. Despite their misgivings, Dylan and Annie fall passionately in love, even as the parallel investigations by the CIA for the traitor’s unknown assassin and the police search for the vigilante killers begin to intersect in surprising ways. But the two don’t realize that the secrets they’re hiding from each other are pushing them toward terrible personal conflicts—or that a terrifying predator is targeting them both. You were one of at least a handful of indie authors selected by Amazon for this promotion, and on the Kindle Boards, some of you were trying to figure out how you got to be the lucky ones. For those people who missed what happened recently, can you explain how you got included in Amazon’s promotion? I wish I knew, because I’d like to shake some hands at Amazon. My best guess is that they had been looking at promising books by indie authors that stood out for their good sales and great customer ratings. That’s the only thing I can find in common among the titles chosen for participation in the post-Thanksgiving “Big Deal” promotion. A week or two beforehand, they invited me by email to participate, the only condition being that I’d have to agree to lower the price of HUNTER from $3.99 to whatever they set it at—which turned out to be $1.99. What expectations, if any, did you have going into the promotion week? When did you realize this was going to be a bigger impact than you expected? Quite modest. Actually, worse than that. I was worried that the lower price would hurt my income—that the number of sales generated wouldn’t be sufficient to offset the discount. But I had no advance warning that they also planned to feature my book as an “Editors’ Pick”—in fact, their #1 editors’ selection—for the entire week! I was amazed to see HUNTER displayed atop the Kindle ebook home page, front and center, plus on the special “Editors’ Pick” page—again, in the top spot—and also on a host of other pages. You couldn’t go to the Kindle pages that week without tripping over my book cover. HUNTER even was the first selection listed in emails Amazon sent to mystery and thriller customers. As a result, sales simply skyrocketed, propelling my book onto the bestseller lists overnight. You’ve passed some pretty big names in your genre, authors that even people who don’t read thrillers have heard of. What’s been going through your head as you watched you book climb the ranks? I was stunned. I was floored when I woke up the next day, November 28, to find HUNTER in the #23 position. But it just didn’t stop. At 2:45 a.m. on November 29, it had reached #10. I was ecstatic, but “realistic.” I announced it on my Facebook page and in emails, but told everyone that, given the names ahead of me on the list, I didn’t expect it to go any higher. But all day it continued to rise through the top ranks—past the latest blockbusters by Stephen King, Janet Evanovich, and then James Patterson. I couldn’t believe it. By late evening on December 2, it was at #5, passing John Grisham and Michael Connelly. At 9 p.m. on December 3, it hit its high point: the #4 item on the Kindle Bestseller List, which includes not just fiction, but nonfiction, games, and magazine subscriptions. It had passed the latest bestseller by Suzanne Collins, and only her two other “Hunger Games” trilogy titles and Catherine Bybee’s new romance novel were ahead of HUNTER. Suddenly, I was the best-selling male author of Kindle ebooks in the world! On that single day, HUNTER sold just shy of 5,000 books. At one point you said you hadn’t seen any change in your print or foreign sales — has that changed at all since then? Slightly. I’ve had about nine sales in the UK, a half-dozen in Germany, a couple in France. But obviously not much of a bump there. My print-edition sales have gone up measurably, too, but they were never huge to begin with. Just over one hundred since the promotion began. The two common tips most indie authors get from “conventional wisdom” are to price at 99 cents or free — never more than $2.99 — and to provide a large quantity of material, either through backlist or rapid production of new books. You chose to do neither. How do you think that played into what happened this weekend? Jennie, I’ve disagreed with that strategy from the outset — and it has made a huge difference. When I published HUNTER last June 21, I set the price at $3.99. My thinking at the time was that I needed to distinguish it from books whose $2.99 or 99-cent price tags simply shouted out “SELF-PUBLISHED!” There is still a huge stigma against self-published books, much of it deserved, although that’s changing. I felt that I should avoid anything that suggested this was a self-published title. So I set the price a bit higher. $3.99, I felt, conveyed a different message—not in the bargain basement, but still a bargain—and its publisher status was more ambiguous. I didn’t think that anyone willing to pay $2,99 would be unwilling to pay an additional dollar. And if so, that was an extra buck of profit per sale for me. Boy, am I ever glad I did! Because I’m not sure that Amazon would have selected my book if the price were lower, because that wouldn’t have given them any pricing room to put it on sale. In addition, HUNTER has been in the Top 20 for two weeks, now. Now back at $3.99, I’m making a lot more money than authors who may be ahead of me in the rankings, but at $2.99 or less. At least in your case, the Amazon promotion was a huge success. What do you think this tactic of theirs means for the future of indie publishing? Visibility, or “discoverability,” has always been the chief challenge for any author, especially indies. But Kindle Direct Publishing is running “Daily Deals” now, slashing the prices on featured indie titles, as well as books issued under their own imprints, and putting big spotlights of attention on them. Under the glare of publicity and sale prices, these ebooks almost invariably shoot onto the bestseller list for about 48 hours, or even longer. This gives those indie books tremendous exposure and the opportunity to find their audience. Right now, about four or five of those recent “Daily Deals” occupy Top 10 bestseller positions, nudging the rest of the titles on the list downward. HUNTER has slowly been pushed down the ranks. Yet its sales momentum is still amazing; sales per day have held steady for four days, even though the promotion ended a week ago. Any thoughts on how this could affect the evolution of traditional publishing? There’s no point repeating what so many critics have said about traditional publishing. But as more and more book-buying moves out of brick-and-mortar stores to online purchases and ereader downloads — places where Amazon is king — the traditional publishing business model is rapidly losing any rationale. In another year or two, mass-market paperbacks will disappear, with ebooks taking their place. There will be a much smaller market for trade paperbacks and hardbacks, as well. And this will have enormous repercussions. Sales of paper editions have been the sole area of expertise of traditional publishers, and the source of advances for authors. But their contract terms for ebook rights are still horrible, advances have been falling, and fewer new authors are even getting book deals. Amazon, especially, has been providing a haven for authors who are fed up with what indie publisher Robin Sullivan calls “the Query-Go-Round.” Kindle Direct Publishing provides an opportunity for authors to publish their works as ebooks and, potentially, to make life-changing incomes—as I have just happily discovered. There’s obviously an element of luck in who Amazon selects and what placement they provide. That said, what advice would you have for other indie authors to maximize their chances to get selected for promotions like this? The obvious one: Focus on your craft. Study the craft of writing. Read voraciously the kind of books you’d like to write, and learn from what the successful and unsuccessful authors are doing. Then, write the best book of which you are capable of producing. Take your time on it. Don’t rush something out into the world, fearing that you’ll miss the wave. That’s nonsense. The ebook wave has barely begun to rise. Then, pay attention to the production values. Have the manuscript read by a bunch of beta readers who are familiar with your genre, and pay attention to their suggestions. Once you’ve gotten their feedback, then make sure your manuscript is meticulously edited and formatted. Have a great cover designed for you — something of quality equal to those created by big traditional publishing houses. All of that can be done for well under a thousand dollars, if you shop around. But don’t publish something that reads or looks amateurish. I’m absolutely convinced that the Amazon Kindle editors selected HUNTER because of the huge number of “5-star” raves it attracted from its readers. But those readers would not have bought or enjoyed HUNTER, and then taken the time to write those reviews, if I had not done all of those things to create the best book I could. Again: Focus on your craft. Don’t look for shortcuts. Quality counts, and it is noticed and appreciated. That’s why the best-selling authors can charge up to $14.99 for their ebooks and get it. The promotion ended more than a week ago. What has happened in terms of sales and visibility for HUNTER? It’s still hanging in there. The visibility may not be as great as it was during the promotion — how could it be? But it’s good enough to generate more that a thousand sales per day. And with 40,000 copies of HUNTER already sold, the all important “word of mouth” factor is now sustaining sales. Before the promotion started, you and some others were discussing the possibility that this was either a tweak at traditional publishing, or a chance to make you guys a “farm team” for Amazon. How have you changed your thoughts, if at all, since seeing the promotion in action? I’m not privy to the thinking behind the closed doors at Amazon. I don’t know if they are using KDP as a “farm team” and looking to foster authors for their own imprints, or whether they have some other plans still obscure to us. But I’m just grateful for the opportunity to do this. KDP had changed my life even before this promotion, by allowing me to generate enough money through self-publishing to pay the mortgage. But now? Life for my wife and me has been changed so dramatically, overnight, that we’re still reeling and trying to take it in. Is this success changing your approach to your next book? If so, how? Good question, Jennie. I think so. Because I don’t have to worry right now about paying the bills, I can write without the weight of financial pressure on my shoulders. I take my time to craft another good novel, working at a pace that assures quality. The one thing I don’t want to do is to disappoint my readers. Those who loved HUNTER have certain expectations, and I want to meet or exceed them. And I have expectations of my own that I intend to meet. You had more than 90 reviews and close to a five-star average rating before this promotion. How much do you think that played into how things transpired? As I said, I think it was the main thing that led to HUNTER’s selection as a Kindle “Editors’ Pick,” and therefore to its success. Until this wave of sales, it had sustained about a 4.9 customer rating, which was pretty incredible. Now that a lot more people are buying it, the rating has slipped a bit. That’s inevitable, because it’s now being read by people outside its true target audience, including people who bought on impulse, due to the low sale price. And my book has a provocative theme, which offends some readers, so they give it 1-star reviews simply because they disagree with its ideas. Reviews are becoming the main way indies can attract attention from readers until they hit critical sales mass, but they’re also difficult to get. Any tips for the rest of us? I’ve never tried to enlist “sock puppets” or generate fake or insincere reviews. I wait until someone reads the book and responds by saying that he or she liked it. Then, and only then, I tell them that, if they have time or interest, I’d be grateful if they would leave a few sentences as a “reader review” on the book’s Amazon product page. I never tell them what to write, or how to rank the book. I tell them only to give their honest opinion. Even while HUNTER was selling quite modestly, those reader reviews began to pile up. Some were long, detailed, and incredibly eloquent. I treasure those readers and their words, because they have been responsible for selling tens of thousands of copies of my book. Let me add something. Authors should treat their readers with the utmost respect and friendliness. What we do in writing and reading is a transaction: conveying our values, dreams, and ideas mind to mind, soul to soul. That connection is precious, and everyone who buys and reads and responds to your book deserves a bit of your time, in gratitude for making your work possible. That’s why I answer every email, call, or letter I receive. I treasure the bonds of friendship I’m forming with my readers. They absolutely are the greatest readers in the world, and I want to make sure that I never do or write anything that will disappoint them. 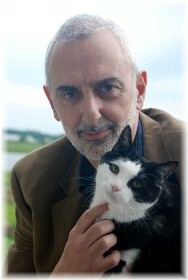 Robert Bidinotto earned a national reputation as an authority on criminal justice while writing investigative crime articles as a former Staff Writer for Reader’s Digest. His famous 1988 article “Getting Away with Murder” stirred a national controversy about crime and prison furlough programs during that year’s presidential campaign. It was named a 1989 finalist for a National Magazine Award from the American Society of Magazine Editors. Bidinotto is author of the acclaimed book Criminal Justice? The Legal System vs. Individual Responsibility, with a foreword by John Walsh of the “America’s Most Wanted” television show, and ofFreed to Kill–a compendium of horror stories exposing the failings of the justice system. He drew upon this background and his personal experiences with crime victims to write HUNTER: A Thriller. He received the Free Press Association’s Mencken Award in 1985 for “Best Feature Story,” and he has been honored by the National Victim Center and other victim-rights organizations for his outspoken public advocacy on behalf of crime victims. As a magazine editor, in 2007 he won the industry’s top honor for editorial excellence — the Folio Gold “Eddie” Award. Bidinotto makes his home on the Chesapeake with his wife, Cynthia, and their cat, Luna (who plays a supporting role in HUNTER). This entry was posted in indie interview, indie publishing and tagged robert bidinotto. Bookmark the permalink. Robert and Jennie, this is so inspiring. I’m a new author too but have been working in the book industry for roughly a year (I’m the president of Novel Publicity). I’ve put so much time and money into marketing my book, and it has been doing pretty well. Nowhere near where you are though! Did you experience the classic Malthusian sales curve, i.e. nothing, nothing, nothing, BAM? I hear that’s the norm and am wondering how long your nothing phase lasted. I’ve been doing everything I can (including writing the best book *I* can write, our advice is shockingly similar there), and now I’m just waiting for the deluge, hoping beyond hope that the roads I’ve laid for my book will bring it to Oz. Thanks, Emlyn! Yes, Robert offered some great advice, and much of it goes contrary to the conventional wisdom in the indie community. I’m another one still in the “nothing” phase and working hard to get it to the tipping point where it goes BAM. Robert offers some excellent tips to get there the “right” way. Wow, that is just fantastic news! Reading the Author’s Bio at the bottom made a very good point to me: Robert has an excellent track record in writing in some form or other from his life prior to self publishing. This is one thing often overlooked (I think) by indie authors hoping for fame and fortune – craft is vital, and can take a long time to develop and hone. Clearly Mr. Bidinotto has had substantial writing experience, has practised and perfected his craft, and so is the ideal candidate to self publish something the public will want to read. Well done indeed to him – not just for his phenomenal success, but also for showing us what it takes to be an author of this calibre. Great interview by the way Jennie! Thanks, Tony! It was fun to throw my reporter hat back on for a moment. You make a really great point — Robert came to his book with lots and lots of writing experience, and had won many awards for his journalism prior to switching gears to fiction. As a newspaper editor, I know my journalism background and experience has made a huge difference in my craft on the fiction side. There’s a common line out there that you have to write for 2,000 hours or a million words before you have a hope of producing something publishable. I don’t know how accurate the numbers are, but I suspect from my own personal experience that they’re pretty close. IMHO, the real danger of the indie movement is that it lets people put work out there before they’ve honed their craft, thus building a reputation based on their early work. The successes will be those who have the patience to put in the time, as Robert did, and resist the rush to publication. Emlyn, I just checked in and saw your post. I’m glad you took heart in my experience; that was my hope. I think a great book can’t be kept down. The issue is always “discoverability.” There are things we can do to enhance that, but the process taking off DOES resemble “nothing (or very little), nothing, nothing, BAM.” In this regard, I highly recommend Malcolm Gladwell’s “The Tipping Point,” which explains the process of “overnight success” colorfully and lucidly. What can we do to enhance our book’s success? Here is where I’ll make a second unexpected book recommendation: “Positioning,” the classic by marketing gurus Al Ries and Jack Trout. In an overcrowded marketplace, you need your product to stand out from the crowd and be noticed. That’s what the book is about, and even though it is not specifically about book-marketing, its principles can apply equally to books, pizza, or widgets. Their other books are worth their weight in gold, too, but “Positioning” tells you much of what you need to know. Specifically, in the age of Amazon, authors need to pay attention to HOW books are seen and discovered. You have on each Amazon sales page a billion little postage-stamp-sized cover images. Take a look at them. Which catch your eyes? Which do your eyes gloss over? Notice that the most effective ones have bold, simple images and big, colorful fonts. Take a lesson from that, because clicking on your book cover is the first step to getting people to your product page. Make sure that your cover accurately suggests your genre, so that you attract the right readers. And make sure that you have a compelling book title that does the same. Then, since most of your sales will likely be through Amazon and Barnes & Noble online, make sure to spend time to craft sizzling, compelling promotional copy on your product page. This is your sales pitch, your one chance to get the idly curious book browser to press that “one-click” Buy button. Finally, try to get online reviews and interviews, especially by people and publications that specialize in YOUR GENRE. Too much marketing is directed in a “scatter-gun” way, toward anyone at all. You need to focus on getting word about your book to YOUR TARGET AUDIENCE. And when readers write to tell you they loved your book, encourage them to post “reader reviews” on Amazon. Those are a few of the basics, Emlyn. If you do those things, at some point a pivotal reviewer, blogger, or publication WILL take notice of your book and help to propel sales. Just be patient, and meanwhile, start work on the next one! Good luck to you, Emlyn. More great advice, Robert! Thanks for continuing to share in comments! Tony, I’m grateful for those very kind and generous words. Lovely interview, Robert! I’m off to get your book for my DH. He just completed all of Lee Child’s current offerings. (I recommended them to him after reading your interview of Lee Child!) Congrats on your success, and if Luna ever needs a new home, my formal name is Cynthia, so I’m sure Luna would feel right at home here. Srsly, could your cat be any cuter?? Cidney (cool name! ), thanks much for that. I’m sure that Luna would love you. But she loves her current home and her “mommy.” And no, she couldn’t possibly be any cuter. Lee Child is one of my author-heroes. I not only love his books, I love his gutsy independence and how he decided to pursue writing his first novel while in his late forties, unemployed, with his savings running out, and with a family to support. And of course, he hit a home run with his first book. Utterly crazy for any author to attempt to imitate that kind of gamble at age 62, unemployed, with his wife’s modest musician’s income slashed in half and her rental properties sliding deep underwater. Insane. And of course, I’ve now hit a home run with my first book, too. Folks, these stunts were performed by trained professionals. Do not try this at home. Anyway, I really enjoyed Jennie’s interview questions. This interview was so different from others I’ve done, because it focuses not on the interests of readers, but on the interests of writers, especially indie authors. I loved the idea of self-publishing ebooks from the time I first heard about it. I was cheer-leading for it publicly before I’d even finished writing my novel, and I continued exhorting writers to try it even while my earnings were fairly modest. I agree. There are no dogmas here. Each of us is different, and we need to develop strategies that are consistent with who we are as individuals, and where we would like to be in a few years. What indie ebook publishing has given us is an array of options we never had before as writers. So, if you want to write at 300,000-word novel, go for it. If you want to price a short story at $9.99, go right ahead. If you want to dash off a ton of short stories and novelettes and try to make a living by selling 5 copies of each per day, fine; but if you want to take your time to write a single grand epic and hope it becomes a colossal bestseller, there are no Gatekeepers to stop you anymore. You now have the freedom to be whoever you want to be as a writer, to write whatever you want, and to price it pretty much as you desire. Yes, by all means, read and learn from these remarkably successful people. But then take their wisdom and design your own writer’s life around who you are and your own personal objectives. Don’t let their advice become dogma. Robert, I feel like you’ve added a whole second interview down here with you stellar comment responses. Thank you!!! (And I’m glad you liked the interview questions.) Excellent points about the danger of indie publishing becoming one-size-fits-all. And at that point, isn’t it almost as limiting as traditional publishing, even without the TradPub Gatekeeper? Hmmm… there’s a blog post or two in here someplace. Thank you for the end advice reminding me there are no gatekeepers. As long as there’s an audience, quality is the only gatekeeper. Mary, great way to sum it up: Quality is the only gatekeeper. Glad you stopped by and enjoyed Robert’s words of hard-won wisdom! Many, many thanks, Jennie & Robert for such an encouraging article for those of us who are trying to launch our final careers as indie writers. Robert–a special thanks for your lengthy responses to Emlyn and Cidney that further encourage and help. And you hit the nail on the head by emphasizing the need to work on craft, write the best you can, and don’t rush it. Congrats on your success and best wishes. Jim, thanks for coming by to read — Robert’s story truly is inspiring, and a strong counterpoint to a lot of the conventional wisdom out there about how to succeed as an indie writer. I’m really pleased that I came to this late as the comments have been as inspiring as the interview! Thanks to all concerned. Thanks for stopping by, Linda! I’m glad you got something of value from Robert’s excellent perspectives on publishing. Jim, thanks. You have a great website, incidentally, and I love the way the reviewer blurbs appear and disappear in sequence. Classy. I don’t doubt that your writing is, too. With reviews like that for “Moe,” you’ll do just fine. J. Sterling and Linda: I truly appreciate your enthusiasm, and I’m glad our exchange has been of value to you. Thank you for the great interview and comments! I’m thrilled with every single book sale, I can’t imagine the feeling of seeling thousands. I’d probably run around the neighborhood screaming. I’m with you — I still cheer when I see I’ve sold another one. I’m hoping the next book gets more traction. I’ve found it’s tougher to pitch a short-story collection to folks, and the next one’s a novel in the same series.